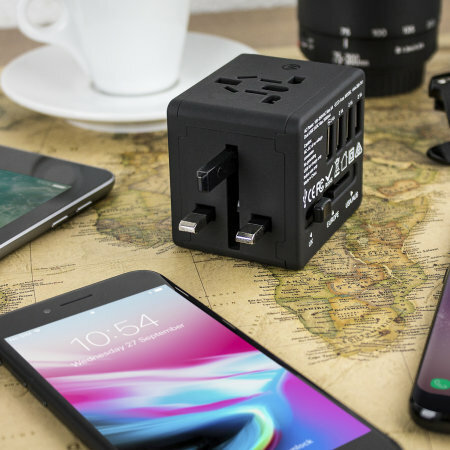 With 4 ultra-fast USB ports and 4 different national plug types built in, this compact, lightweight travel charger from Veho is the perfect companion for you wherever in the world you may be. Great product, great price and great service. What more could you want? 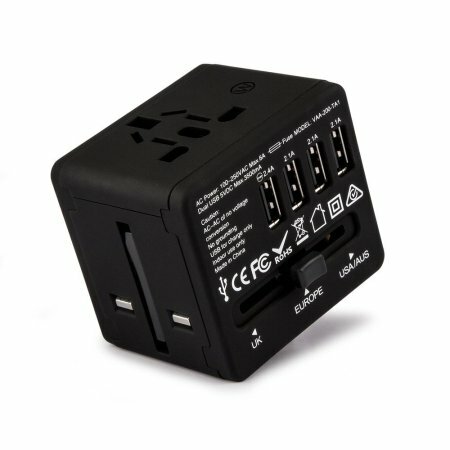 I’m cabin crew, and after 20 years of travelling the world with a pouch full of various adaptors and plugs, now all I carry is this and a couple of cables. Brilliant! Showing and recommending to all my colleagues. 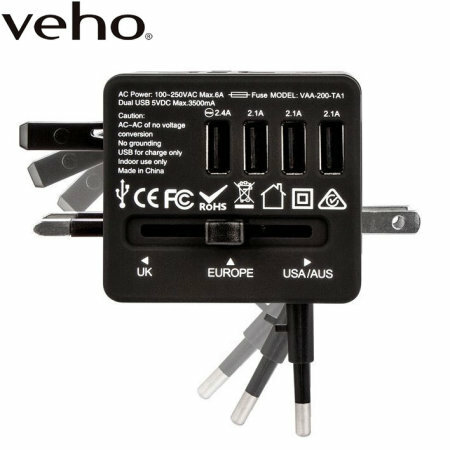 Designed for easy use and convenience, the Veho TA-1 allows you to charge any USB cable supported device from just one main power socket. 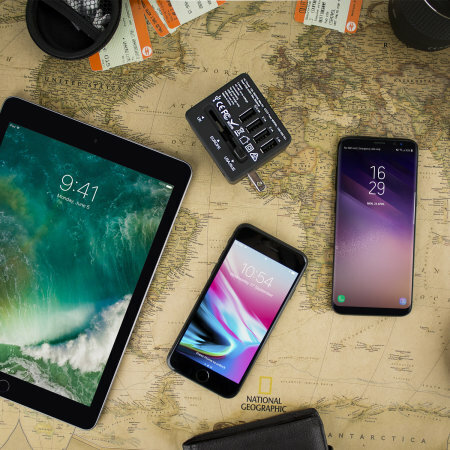 Furthermore, using your existing charging cables, the Veho TA-1's 4 USB outputs can be used to charge 4 smartphones, tablets, iPods, MP3 players, digital cameras and e-readers etc at the same time. 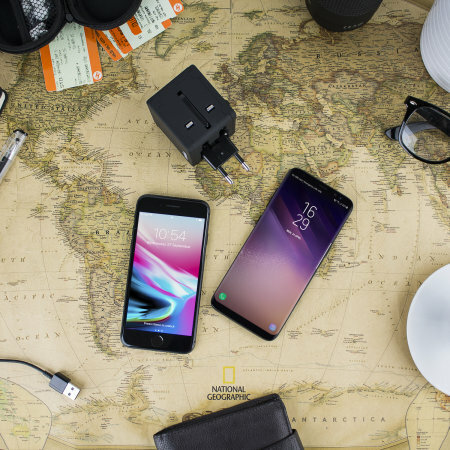 With a total power output power of 3.5A, the Veho TA-1 is powerful enough to charge even the largest of USB charging-compatible devices, with one USB charging port featuring up to 2.4A - so all of your devices will be ready for action. 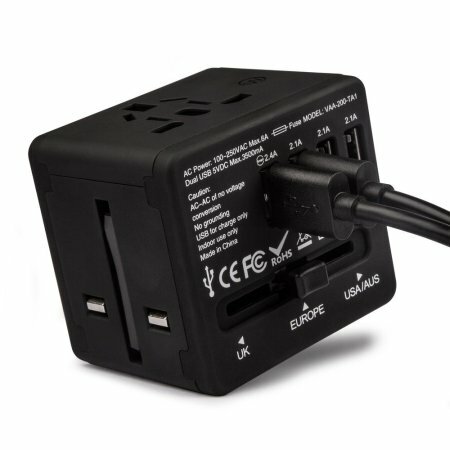 Choose between different regions' mains adapters with a simple toggle switch, which extends the plug prongs you need while retracting those you don't. True versatility and power is yours at the flick of a switch with TA-1. 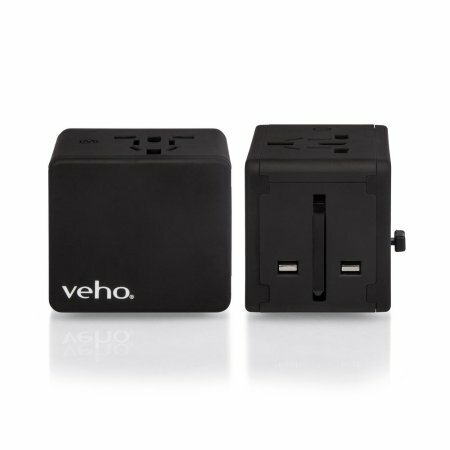 For those who are constantly on the go and travelling, the Veho TA-1 Universal Charger is the perfect travel accessory. 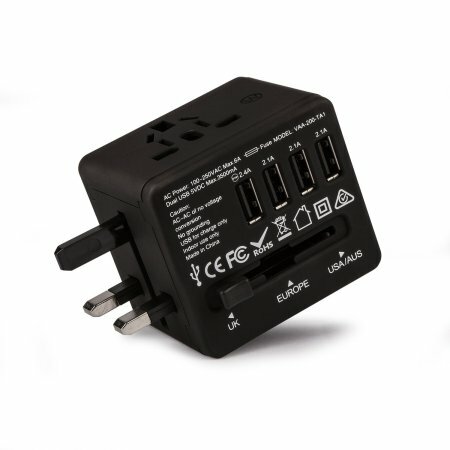 With a extremely slim design that is combined with interchangeable UK, US, EU and AUS plug heads, the Mu System is the only travel adapter you need. 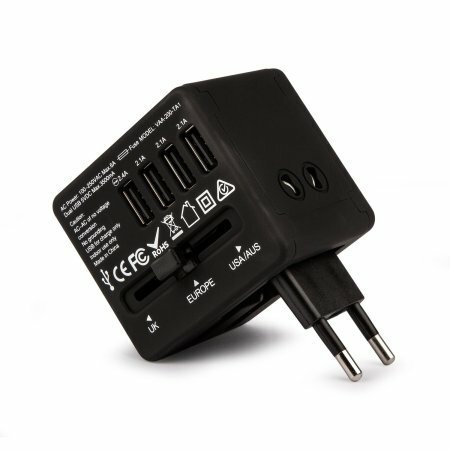 Not only is the Veho TA-1 a super-handy travel plug for your smartphone and tablet, but it also contains an adapter socket for your laptop, razor, toothbrush or any other mains-charged device. 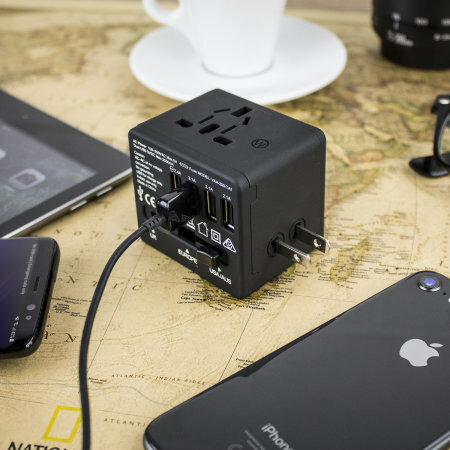 Whatever you might need to hand, you can use it easily with the Veho TA-1 charger. 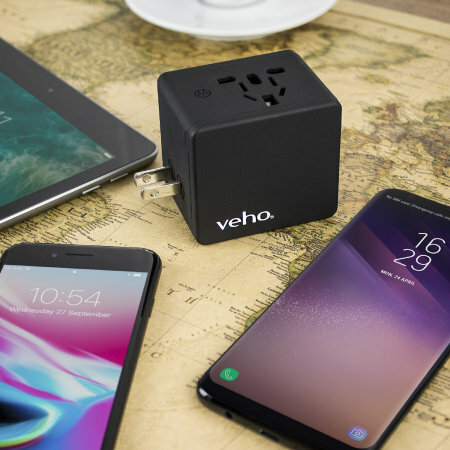 The Veho TA-1 looks great, with an appealing, attractive design which will fit in well into any environment - including hotel rooms, offices, home and anywhere else you might need to use it.